Dan Matlow was born in Syracuse, New York and has lived in South Florida since 1997. Dan Matlow has twelve years of experience as a practicing attorney in the State of Florida. Mr. Matlow has earned an AV Preeminent rating (the highest available rating) from Martindale-Hubbell, the leading peer rating organization. Following law school, Mr. Matlow was an associate with a boutique construction law firm. 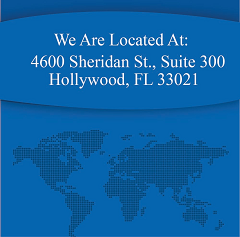 More recently, Mr. Matlow was a partner at one of the most prominent law firms in the State of Florida. Mr. Matlow has handled numerous lawsuits for clients in a multitude of practice areas, including contract law, business fraud and torts, employment law, construction law, condominium/home owners' association, probate, and real estate issues. To name a few examples, Mr. Matlow has represented manufacturers, service businesses, contractors, subcontractors, suppliers, developers, healthcare providers, software companies, employers, employees, staffing companies, banks, insurance companies, investors/entrepreneurs, condo/homeowners’ associations, retailers, landlords and tenants. Additionally, Mr. Matlow is particularly honored to have been retained by other law firms. Mr. Matlow is admitted to practice in all the state courts in Florida, as well as the United States District Court for the Southern District of Florida, the Middle District of Florida, and the Northern District of Florida. He is also admitted to practice in the United States Court of Appeals for the Eleventh Circuit. Mr. Matlow is also a member of the Trial Lawyers Section of the Florida Bar.